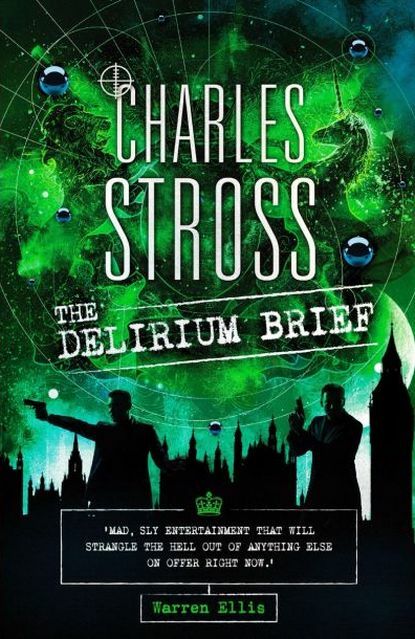 The latest volume in the brilliant Laundry Files arrives from the delightfully warped brain of Charlie Stross. 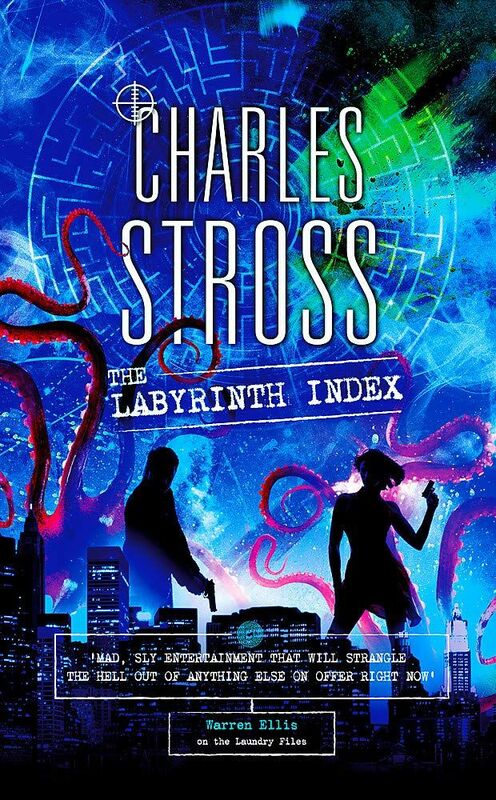 I’ve enjoyed Charlie’s books for many years, but I have an especially soft spot for his Laundry novels; in fact they’re a particular favourite of mine, a delicious mixture of fantasy-horror, laced with dark humour and some fine satirical sideswipes at society and organisations, and, in the form of husband and wife team Mo and Bob, characters that grow on you very quickly and who you become very fond of and invested in. For those not in the know, the Laundry is nickname for a very special section of British Intelligence, with a very unusual remit – like MI5, MI6 and predecessors like the famous SOE they track and attempt to neutralise threats to the security of the realm. Except the Laundry deals with what most would consider supernatural threats – vampires, portals to other realms, mind-crunching extra-dimensional parasites and unspeakable Elder Gods.But this is no Buffy-esque secret Watcher society, the Laundry may be super-secret (even most of the cabinet doesn’t know about this, and they operate beyond even the secretive oversight of the other intelligence services (which is going to be one of the problems in this volume) but they are still a part of the civil service, and that means procedures, HR requirements and lots of paperwork in-between trying to save the world from soul-devouring monstrosities. After an enormous incident in the preceding novel though, involving many deaths and an invading force from another dimension in a major British city, the usual clean-up protocols are useless – the Laundry has been exposed to the public and government scrutiny, and as we open poor Bob, who has faced everything from unicorns (nasty buggers) to the skin-crawling horror of the The Sleeper, has an even more terrible foe to face – a live interview on Newsnight. With the Laundry exposed the media is diving on this once secret division and of course the government isn’t too happy either, and in best tradition both media and government are looking for someone to blame for the previous disaster. The media scent blood and the embarrassed government wants scapegoats to blame. And there is outrage that the Laundy has been operating beyond the oversight of the parliamentary intelligence committees (and the legalities that constrain just what more regular services like MI5 can and cannot do). This is just the start of a seismic shift in how this organisation has been run for many decades, and enemies can scent a sudden weakness and opportunity. The fact that the Laundry has held off absolute nightmares from devouring our Green and Pleasant Land (not to mention the rest of the world and humanity with it) seems to count for little in this atmosphere. And some enemies are prepared to use the devious weapons of the political-corporate elites as much as they will use more fantastical means. Why use up your supernatural energies when you can manipulate government ministers and get them to go along with your ideas – privatise and outsource many operations to a private security firm, it’s more cost-effective and market-efficient, don’t you know! And the group pushing the prime minister for this has already successfully taken over entire sections of the Laundry’s opposite numbers in Washington. Bona fide government contractors, what could be better??? Naturally there is much more going on here, the dark forces using ideas dear to certain sections of the political establishment (supposed free-market competition and efficiency that usually actually means even poorer service – usually bailed out by the taxpayers – and contracts given to firms which just happen to have friends in government, and where many politicians go on to serve after retiring from political life), to infiltrate and quietly take over whole sections of the fabric of our society we depend on, without anyone even knowing they have ceded that control. The huge upset in the operations of the Laundry are also mirrored in Bob and Mo’s personal life – in the most recent volumes both have been through enormous changes that have left their marks. They are both still in love but unsure they can be together (not just in the emotional sense after the traumas they’ve endured, there is an actual safety issue, not least because Bob is now also the Eater of Souls).